When people come to your home one of the first things they see is your driveway. Mould, dirt and stains are not a good look. Mouldy drives, especially when wet, can also be a serious slip hazard. Aaqua Ffresh can solve all these problems for you by improving both the appearance and safety of your driveway. We will remove the following from concrete, pebbled, paved, timber or tiled drive and make it look new again. Our 22 years of professional cleaning experience allows us to use the correct chemical balance and equipment to remove mould and dirt without harming the surface being cleaned. Our process ensures that we use the right pressure to clean quickly but without risking damage to your expensive driveway. 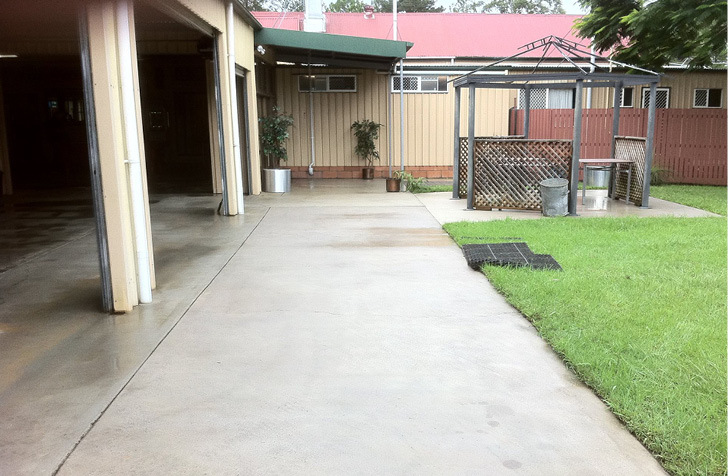 We can clean any surface including painted, oxide concrete, paved, tiled, cement pebble and timber. 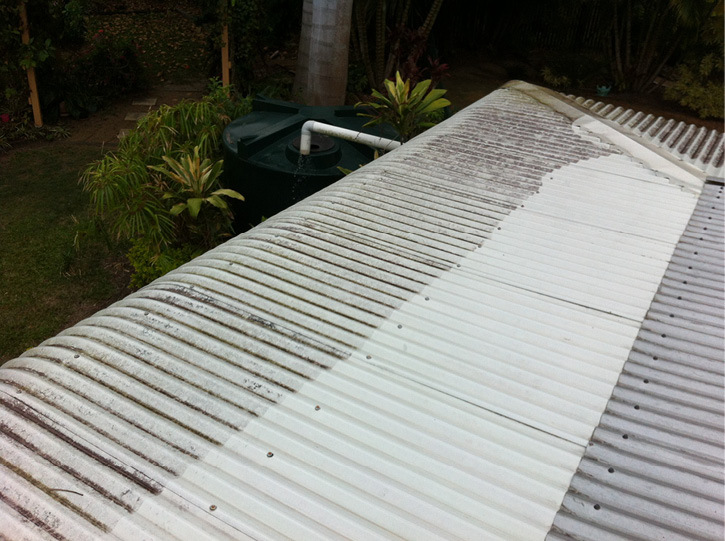 Before commencing the cleaning process, we will inspect your driveway’s current condition. We will also check where runoff water will travel so you can be confident no damage or flooding will occur. Does your home have more than one dirt or grime area? Why not package them up and save some money! If we are already onsite fixing one area, then adding another service is a lot cheaper. 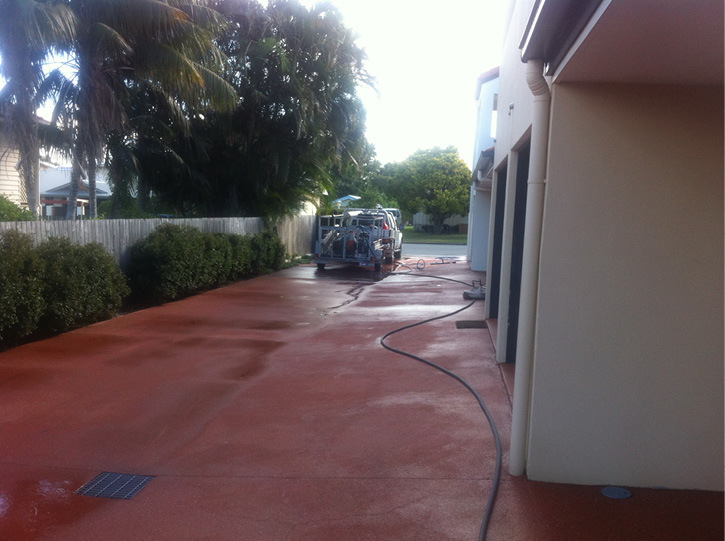 If your tank needs cleaning, then add on a driveway clean. 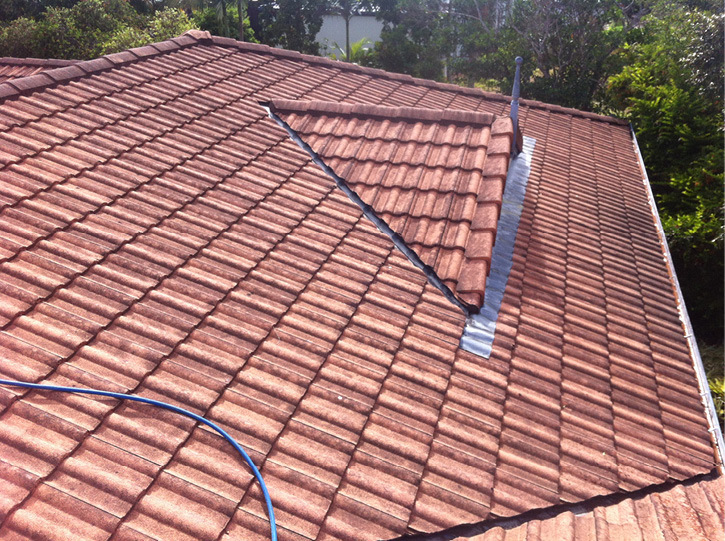 If your gutters need cleaning, then add on a house exterior clean. You will be surprised how little it costs for the extra services. 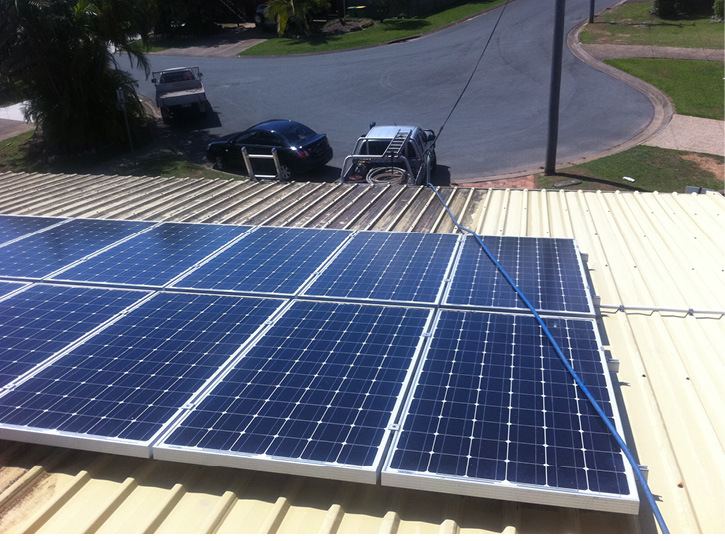 You can even package in your neighbour’s driveway, tank or home so that both you and your neighbour save money. If your first impression needs fixing call the driveway cleaning experts at Aaqua Ffresh. 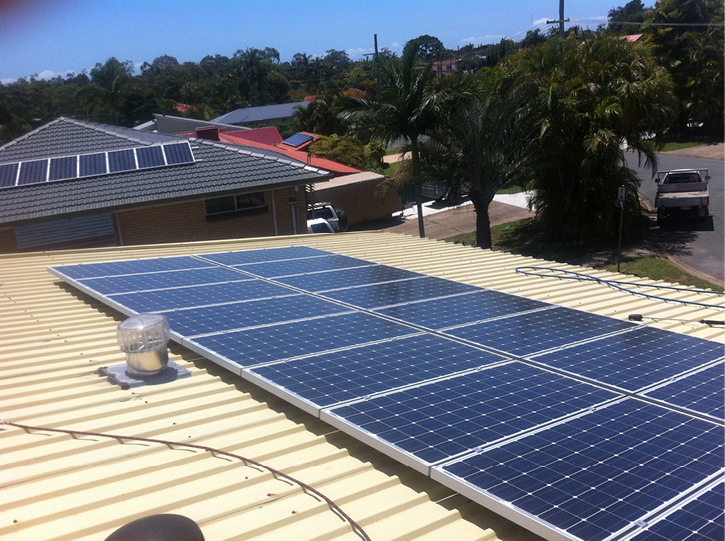 Call now on 0419 667 251.